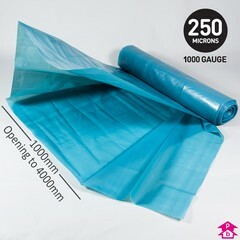 Extremely thick (minimum 1000 gauge) polythene sheeting that has been BBA Approved (British Board of Agreement) for use as a Damp Proof Membrane (DPM) in a course of waterproofing or Damp Proofing. 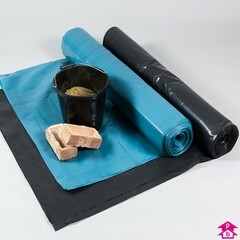 Available in black and blue and made from recycled polythene making it environmentally-friendly. A Handypack sheet is now available to cover smaller areas. 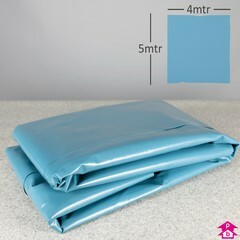 100 square metres (23Kg). 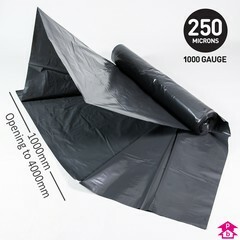 1 metre wide on roll (unfolding to 4 metre wide sheeting) x 25 metres long. 1000 gauge.